The Tracker 1x24 NVG is a comfortable hands-free way of being able to see at night without having to hold a night vision unit. The design of the goggles minimizes fatigue if used for long periods of time. The headmount allows adjustment of the device in multiple directions. The unit is fitted with a single short-range IR illuminator for use in very low light/total darkness. Power is provided by one CR123A lithium battery (not supplied). 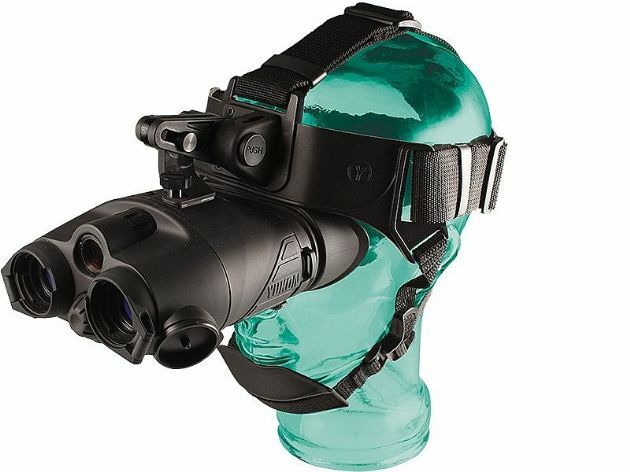 The Tracker 1x24 NVG offers 1.0x image magnification and a 30° field of view.